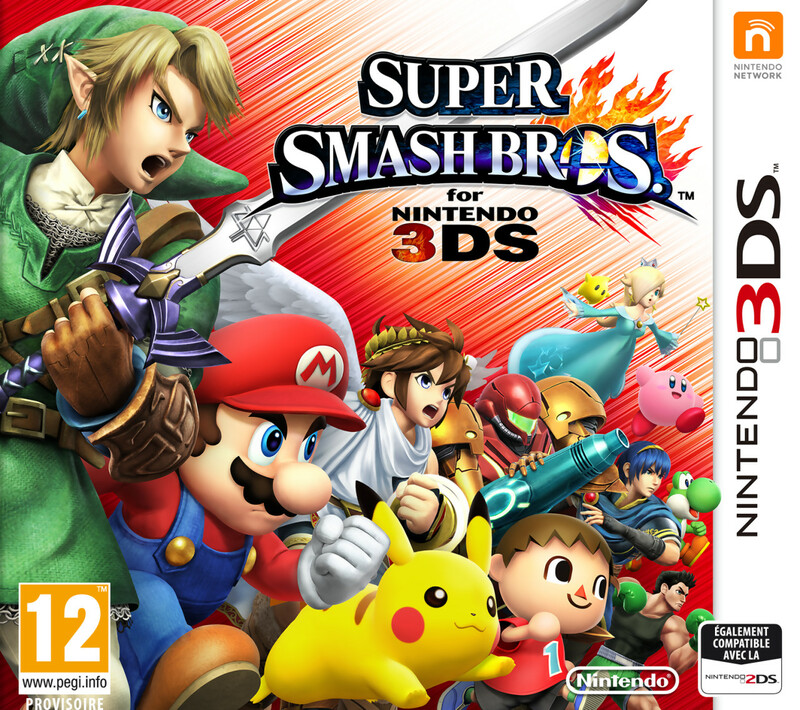 Super Smash Bros. for 3DS was the much anticipated fourth instalment in the Smash Bros. series and the first to be released for a handheld. The game was (and is) very, very popular and a huge success. I have to be honest though – for me, this game was a little bit of a disappointment. Until this game, I felt as if the Super Smash Bros. games had gotten a little better each time, with Super Smash Bros. Brawl being absolutely fantastic. 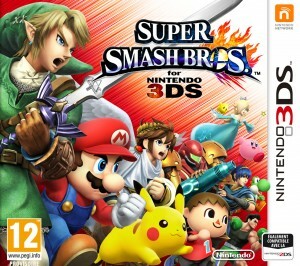 I didn’t feel like anything new was done with Super Smash Bros. for 3DS, which is the main reason for my disappointment. Don’t get me wrong, this is a good game that I can dip into a bit whenever I want and have a good time, but it felt like it could have been so much more. So what new things does this game actually have to offer? Well, I suppose the first thing I should talk about is the new characters, since that’s what people generally get most excited about with Smash Bros. although, be warned, I am going to talk openly about the unlockable characters in the game, which some may consider spoilers. The reason I don’t class these as spoilers is that Nintendo was so open about every character in their marketing, that I doubt there are any secrets left. This, in itself, is actually something which was a bit of a shame for me; I like surprises. Anyway, onto who’s in this game! One new character I was very pleased with, and who I enjoyed playing as a lot, was Villager, an Animal Crossing main character. Villager was very fun to play as and I felt that he really deserved his position. Another one was the Wii Fit Trainer, ‘star’ of Wii Fit; she was such an odd choice, but I appreciated how strange she was and had a lot of fun using her. Mega Man was a very big name that was added; as an iconic part of the NES era, it seemed fair that he was added and I thought it was quite nice (though I had not had much of a chance to get to know the series beforehand.) Pac-Man, one of the most recogniseable video game characters around, was also included, which was also nice, especially as he is one of the most fun characters in the game. Probably my favourite new addition was Robin, star of Fire Emblem: Awakening because I love that game and I love her. There are several others too (Palutena, Dark Pit, Lucina, Rosalina, Bowser Jr etc) but those were probably the biggest ones. I don’t dislike any one of these new characters and all of them have good move sets… I hadn’t really hoped for any of these characters though. Where were the new Donkey Kong characters? I’d been waiting for King K. Rool for a good seven years at this point! Where were the new Zelda characters? I don’t mean to be negative, because I do like all of them, but none of them really got my heart racing. After the characters, I guess the stages are the next most important thing. While I think all of the characters were good, I think this game has quite a poor selection of stages. The only Star Fox stage is something from Super Smash Bros. Melee remade. The same goes for Donkey Kong. There’s a new Kirby stage, but it’s a weird thing inside an original Game Boy. The new F-Zero stage looks like a SNES game for some reason. I know it’s about nostalgia, but this weird metatextuality takes me right out of the game and makes it harder for me to appreciate the exciting crossover that it should be. Having said that, there’s a EarthBound/Mother stage which is really fantastic; it makes a superb tribute to the series. There don’t really seem to be that many stages either, especially considering how many of them are returning old stages. I often feel like there’s quite a lack of variety when I play a few battles in a row. The best unique thing in this game is a thing called Smash Run. Smash Run has you put into a world where you have to fight enemies from various different games, collecting stat increases as you do, so that you can prepare for a final battle. Very fun and a nice new addition… It’s just a shame it feels a bit underutilised. I felt it could have been given more significance. Beyond this you can also use Amiibo figures to train your own custom fighters and transport them between games. Speaking of customisation, you can also use your Miis as playable characters and you can make as many Mii Fighters, with unique moves, as you like. The was Nintendo’s way of letting you have anyone in it. I wasn’t that excited about this, but I’m sure others will be. Beyond this there are just the usual ‘Classic’ and ‘All-Star’ single player mode, which has you fighting characters in various orders, just like the other games. The real appeal, I think, is the multiplayer mode, and you have lots of options that allow you to ensure it is as fun for you as possible. One last thing I’d like to talk about is downloadable content. For over a year after the game first came out, there was a long, drawn-out period in which downloadable content was added. In the end we got six new characters: Mewtwo, Lucas, Roy, Ryu, Cloud, Corrin and Bayonetta. So, three returning characters and four new ones. I wasn’t that excited about any of them. There were also a huge number of Mii costumes released, including King K. Rool, but to me these weren’t that exciting… I still bought some though! At least quite a few people were very pleased with characters like Cloud and Bayonetta – I am not hugely familiar with them and it made me feel like the choices were a little arbitrary. I feel they lost focus a bit, when choosing characters. The choices seemed to be random.